Special hollow tubes in plastic are hand woven methodically and screw-attached to the corolla-shaped frame in moulded metal, sanded and coated a metallic grey colour. 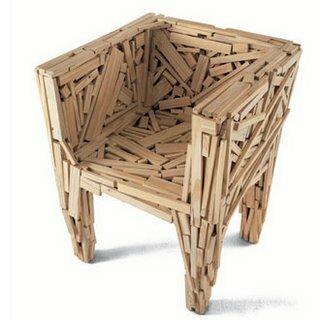 A small armchair made from many pieces of natural wood, similar to those with which the shacks of the favelas or shanty towns are built in Brazil, glued and nailed together by hand. 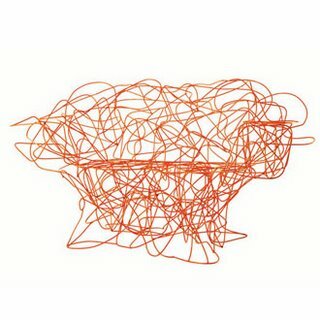 The irregular weaving of hand-bent steel wire with coral pink epoxy paint finish forms a large, free-standing seat. 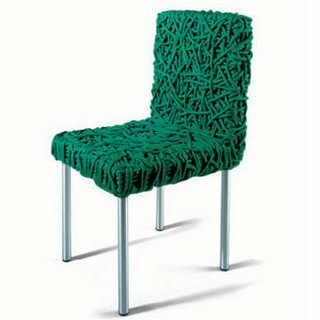 Wrap-around armchair with steel frame painted with epoxy powders. 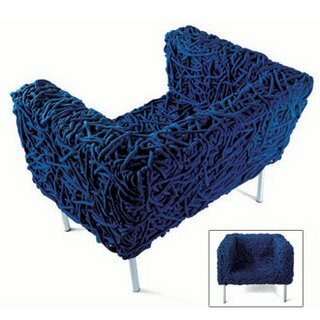 Several days’ manual work is required to build the seat, together with high expertise for the weaving. The five hundred metres of special rope with an acrylic core, covered in cotton, are first woven onto the frame to create a structure and then plaited by consecutive overlapping, leaving sufficient surplus to form a kind of random weave which creates an unusual padding. Square in shape, its metal frame is coated with epoxy powders. 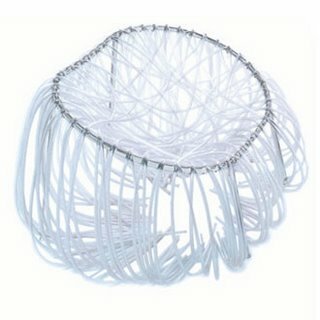 The seat is hand made in a skilful sequence, weaving 650 metres of special rope with an acrylic core covered in cotton. A seat with a steel frame painted with epoxy powders and feet in stainless steel. 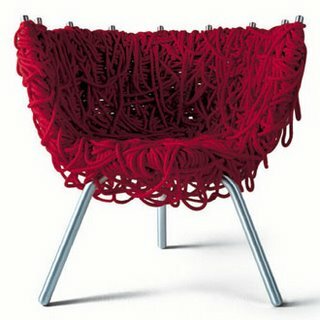 The seat is made by hand weaving, in sequence, 220 metres of special rope with acrylic core covered in cotton. 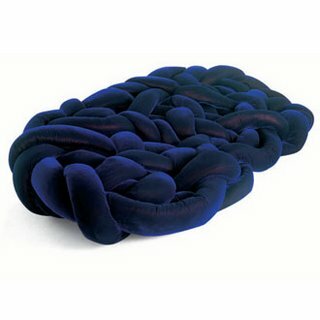 Softly woven, it resembles a large nest that also holds many people – lying down, sitting or curled up - who can also crawl inside the weave to feel even more protected. 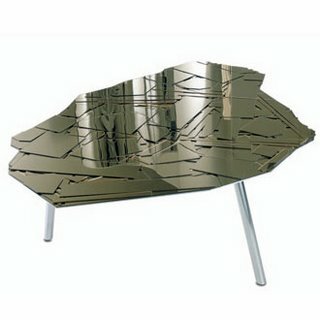 Fernando and Humberto Campanaʼs multisided tables (2005) are a chaotic mosaic of refl ecting glass pieces. The brilliant colours pay tribute to the designersʼ country of origin and the stones on which the capital, Brasilia, was built.